Figure 1: Source: McGurk, B. Letter to D-ISIS Coalition Partners on the Progress of the Past Year, (Washington, D.C.: Office of the Special Presidential Envoy for the Global Coalition to Counter ISIS, December 29, 2017). Jordan is perhaps an obvious target for ISIS terrorists as a result of its overt participation in the US-led Global Coalition to Defeat ISIS which was established in September 2014. [ii] ISIS has successfully carried out attacks in Jordan at least once a year since it proclaimed its Caliphate in June of 2014. The deadliest of these occurred in December 2016 in the central-west city of Karak which killed seventeen people and injured thirty-four, and several major plots have been disrupted since 2015. However, Israel has thus far managed to avoid any such mass casualty attacks. While ISIS has a strong presence in the Sinai, a growing infiltration Gaza, as well as latent entity in Lebanon, its ongoing habitation in the southern Golan is particularly disconcerting. Not surprisingly, the IDF has prioritised efforts to target Hizballah and Iranian-backed militias on the Syrian side of the Golan Heights, particularly in and around Quneitra Governorate. [iii] Israel has bombed Hizballah convoys and weapons caches several times in Syria this year and fired on military positions in Syria after projectiles landed in the Golan Heights. Israel appears determined to stop any attempt by its northern nemesis to open up an eastern front in Hizballah’s ongoing unconventional war with the Jewish state. Subsequently, analysts suggested the IDF would keep a watching brief on ISIS activity, responding where necessary in order to pressure the Western-backed Southern Front to deal with the jihadist threat. However, the Southern Front has failed to deliver on its foundation promises (a democratic vison for Syria) and has reportedly been infiltrated by both ISIS and al Qa’ida aligned groups. Al Qa’ida is establishing (or re-establishing) itself in the south, a reality which increases pressure on pro-regime forces as well as generating additional complexity for Israel (Casagrande, November 2017). It also generates pressure on ISIS, creating siege-like containment conditions in some area in Deraa Governorate, which together with internal divisions, may help to explain why ISIS hasn’t consistently targeted Israel. [iv] However some assert that with a “southwestern Syrian cease-fire in force and with ISIS almost defeated in the rest of Syria, it seems a matter of time until ISIS on the Golan will be in the spotlight again” (Frantzman, December 4, 2017). The Yarmouk Martyrs Brigade first came to prominence with the capture of UN peacekeeping troops in March 2013 in the Jamla area near the UN patrolled portion of the Golan Heights as well as another in May 2013 involving 4 Filipino UN peacekeepers. 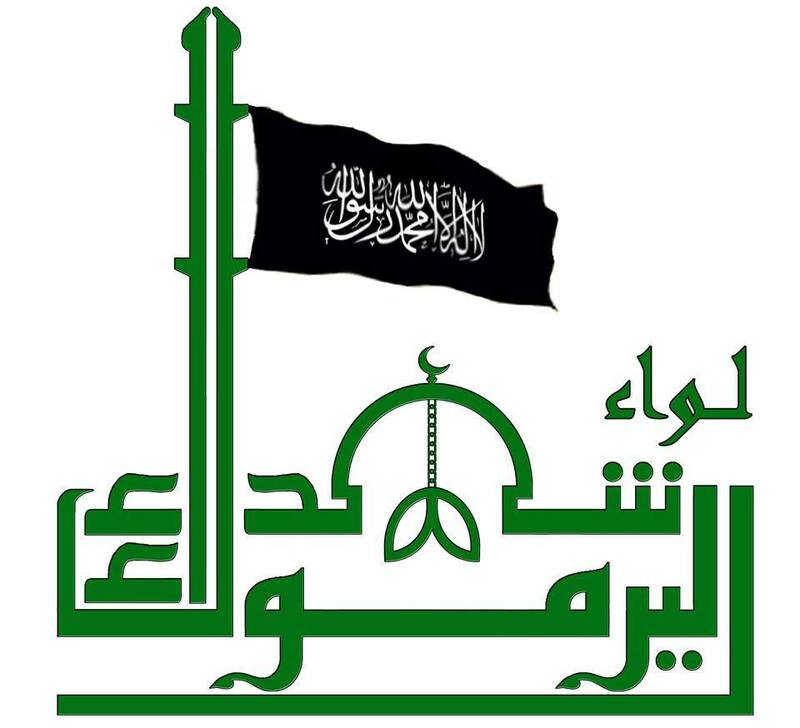 Despite positioning itself among the multifaceted, yet singularly focused, anti-regime Southern Front forces in 2012 and 2013,[v] by mid-2014 Liwa Shuhada' al-Yarmouk had adopted an ISIS aligned agenda and a more Islamic-style emblem illustrated the shift. The Yarmouk Martyrs Brigade was overtly criticised for its drift into ISIS’ orbit and the group clashed with previously aligned militias including Jabhat al-Nusra (al Qa’ida in Syria). After being isolated by both the Southern Front and al Qa’ida aligned groups, the Yarmouk Martyrs Brigade attempted to offset its materiel and territorial losses by corralling ideologically aligned militias. By 2016, the newly consolidated group became an ISIS affiliate operating under the name of Jaysh Khalid bin al-Waleed (Khalid ibn al-Walid-Army of Khalid bin al-Waleed-JKW). Instead, the attack on Israel was likely conducted by a few members of the group which ran counter to the wishes of JKW leaders who did not seek a wider conflict. According to the Western journalistic source, Israel is the only country in the world the Islamic group fears because it believes its army is too strong to face. [viii] Therefore, the decision (or lack thereof) to target Israel could’ve derived from an operational direction resulting from a leadership cadre which had been eliminated by ‘unknown’ sources in the months leading up to the confrontation with IDF personnel. In October 2016, the first leader of the group, Abu Hashim al-Shami, was assassinated. A similar situation occurred in June 2017 when two air strikes targeted the group’s leadership. The first targeted a meeting of ISIS members who had allegedly come from the caliphate’s areas in eastern Syria and the second targeted the ISIS leadership on the Golan. No one took responsibility for the air strikes according to Al Tamimi, yet the IDF has a deserved reputation for adopting leadership decapitation within its ‘mowing the grass’ strategy. [ix] Confronted with a violent civil war on its doorstep, Israel has adopted a largely non-interventionist position, retaliating as and when it determines it to be necessary. While the focus was on Mosul in Iraq and the push across the north-east of Syria in 2017, JKW was active in the Golan. In February 2017, the terrorist group engaged in heavy fighting with the Syrian Army in Deraa city, nearly 40 km (see map) east of the Yarmouk Valley. While maintain its offensive in the east, JKW attacked ‘moderate’ Southern Front militia’s in the valley, “over-running and seizing several villages and a large town” (Tseel, Sahem al Golan, Adwan and Tel Jamoua) (Ratner, February 20,2017). Ominously, JKW was enabled by embedded ‘sleeper’ locals and immediately demonstrated its brutality to the inhabitants of captured towns. [x] While Jordanian forces mobilized on its north-western border and the presence of Western Coalition personnel in nearby al-Suwayda in the east, it fell to Southern Front forces (probably with Jordanian C2) to counter some of the ISIS gain by ‘reclaiming’ the villages of Jileen and Heet. However, the Jordanian Air Force conducted air strikes in the area, destroying JKW infrastructure. As the Caliphate collapses around it, ISIS may embark on a liberate al Quds initiative to bolster its tattered reputation, embolden those fighters who remain in theater as well as inspire the next generation of converts. Some attributed the spate of attacks in Britain in early 2017 to the loss of territory in Iraq (Mosul, Baiji, Hit, etc.). Additionally, the enduring enclave may attract regionally displaced terrorists as it presents a more appealing option, at least geographically, than crossing the border into Turkey and/or Jordan. If so, the likelihood of a second confrontation with the IDF and/or a mass casualty attack within increases. For example, in October 2017 a group of senior-level ISIS commanders who fled the crumbling Caliphate established a training camp in the Yarmouk Valley. The new additions recruited approximately 300 local youths who engage in online propaganda to reinvigorate the established network they abandoned in Raqqa. Although the Global Coalition announced the ‘liberation’ of Raqqa in Syria in October 2017, and Iraqi President Abadi announced the defeat of ISIS in Iraq a few weeks later, ISIS has continued to target government security forces and civilians. It’s widely accepted that “the more the group loses land, manpower, and funds, the more it will want to show success in terrorising ‘the enemies of Allah’ and projecting spectacular violence in its propaganda” (Hoffman, June 2017). Despite the threat potential, regional protagonists and some analysts, highlight the alignment of interests between the state of Israel and the brutal, illegitimate transnational terrorist entity. This nature of these assessments leads one to recall commentary from former Israel Defence Minister Ehud Barak who equated the difficulty of balancing priorities to “when your mother-in-law takes your new BMW and drives it off a cliff” Ehud Barak (Saban Center, December 1, 2017). While this is not the first time that parallels can be drawn between the strategic interests, and even actions, of a state and a terrorist organisation, ISIS’ global presence would challenge such a containment strategy. Although it ideological parent, and now rival, al Qa’ida has long been equated to the mythical Hydra, ISIS continues to demonstrate the capacity to strike whilst physically constrained. Given this ability, a strategy of ‘mowing the grass’ and geographic containment would achieve a limited objective. A number of ISIS-led, enabled or inspired terror attacks have targeted Jewish citizens of other countries, mainly in Europe, therefore decision makers in Israel “need to quantify these threats and Israel’s responses to them, within their greater calculus” (Etzion, September 2016). It’s clear there are many components of Israel’s strategic equation. Firstly, would a concerted effort to clear the Golan of ISIS terrorist result in an escalation of attacks on Israel and its interests globally? Secondly, who would fill the void? For example, would Hizballah attempt to push further south to expand its Eastern Front initiative, or would al Qa’ida aligned militants exploit the situation to reinforce its position in the south? While, Israel is constantly evaluating and adapting to achieve its national security objectives, and possesses the analytical, Intelligence and materiel capabilities to confront its opponents, yet the presence another terrorist neighbour presents decision makers with a particularly perplexing challenge. n/a. ‘Displaced from Syria’s Beit Jin Arrive in Idlib, Daraa’, Asharq Al-Awsat, (December 31, 2017). Abdulrahim, R. ‘Islamic State Returns to Guerrilla Warfare in Iraq and Syria’, The Wall Street Journal, (January 2, 2018). Al-Tamimi, A. J. ‘Liwa Shuhada' al-Yarmouk: History and Analysis’, Aymenn Jawad Al-Tamimi's Blog, (September 18, 2015). Al-Tamimi, A. J. ‘The First Connections Between Liwa Shuhada' al-Yarmouk and Islamic State’, Aymenn Jawad Al-Tamimi's Blog, (May 19, 2016). Al-Tamimi, A. J. ‘Yarmouk Valley: The Formation of Jaysh Khalid ibn al-Waleed?’, Aymenn Jawad Al-Tamimi's Blog, (May 24, 2016). Al-Tamimi, A. J. ‘The Meaning of an Israeli Clash with an Islamic State Affiliate’, War on the Rocks, (December 13, 2016). Al-Tamimi, A. J. ‘Black Syrians: The Case of the Yarmouk Basin’, Aymenn Jawad Al-Tamimi's Blog, (January 19, 2017). Al-Tamimi, A. J. ‘The Life of Abu Qasura Kanakari of Jaysh Khalid bin al-Waleed’, Aymenn Jawad Al-Tamimi's Blog, (August 12, 2017). Al-Tamimi, A. J. ‘Katibat Ali Sultan: Syrian IRGC Group, Aymenn Jawad Al-Tamimi's Blog, (October 5, 2017). Ahronheim, A. ‘The IDF's First Battle with Isis on the Golan’, The Jerusalem Post, (March 9, 2017). Bender, B. ‘Israeli Officers: You’re dong ISIS all wrong’, Politico, (May 22, 2017). Cafarella, J., Gambhir, H, * Zimmerman, K. ‘U.S. Grand Strategy: Destroying ISIS and al Qaeda, Report Three’, Jabhat Al Nusra and Isis: Sources of Strength, (Institute for the Study of War, February 2016), pp. 1-32. Etzion, E. ‘Israel and ISIS—Undercover Enmity’, The Middle East Institute, (September 20, 2016). Farand, C. ‘Isis fighters ‘attacked Israel Defense Forces unit, then apologised' claims former commander’, The Independent, (April 25, 2017). Frantzman, S. J. ‘Golan ISIS Threat Looms Large Over Israel and Syrian Rebels’, Jerusalem Post, (December 4, 2017). Fromson, J. & Simon, S. ‘ISIS: The Dubious Paradise of Apocalypse Now’, Survival, Vol. 57, (June-July 2015), pp. 7-56. Geltzer, J. A. ‘Don’t Raise a New Year’s Toast for Defeating ISIS Just Yet’, DefenceOne, (December 27, 2017). Gilenson, D. ‘ISIS establishes training camp near Israeli border in Syria’, Jerusalem Online (JOL), (October 11, 2017). Gold, Z. ‘One Year of the Islamic State in the Sinai Peninsula’, Institute for National Strategic Studies INSS Insight No. 758, (October 25, 2015). Hoffman, A. ‘ISIS Claims First Attack in Israel’, Tony Blair Institute for Global Change, (June 22, 2017). Inbar, I. ‘ISIS The Dangers for Israel’, The Journal of International Security Affairs, no. 30, (Winter 2016), pp. 1-4. Jeremy Bob, Y. Report: Israel, ISIS Interests Align Against Iran’, The Jerusalem Post, (November 27, 2017). Moore, J. ‘Syrian Rebels Return Eagle to Israel After it Flew Into Isis Badlands, Newsweek’, (August 9, 2017). Mustafa, H. The CIA’s TOW Program: A List of Rebel Groups Involved’, Syria in Brief, (Updated January 2, 2018). Ratner, B. ‘ISIS Groups Expands in Southern Syria Near Israel Border’, Newsweek, (February 20, 2017). Zimmit, R. Iran in the Post-Islamic State Era: Aims, Opportunities and Challenges Updated Review, The Meir Amit Intelligence and Terrorism Information Center, (November 26, 2017). [i] There’s enough evidence to suggest that even if their territory has remained reasonably static, there has been a steady stream of militants into the Yarmouk Basin since the formation of the Yarmouk Martyrs Brigade in mid-2012 and the subsequent merger of local groups to create Jaysh Khalid al Waleed (Army of Khalid ibn al-Waleed) which continues into 2018. [ii] The capture and high profile murder of Jordanian Airforce pilot Lt. Muath Al-Kaseasbeh in 2015, re-emphasises ISIS’ narrative which equates the West with apostate regional leaders such as Jordan’s King Hussein. [iii] For a recent assessment of the likely eventuation of a Third Lebanon War see: Schanzer, J, Badran, T & Daoud, D. The Third Lebanon War: The Coming Clash Between Hezbollah and Israel in the Shadow of the Iran Nuclear Deal,, Foundation for Defence of Democracies, (July 2016), pp. 1-36; Deterring Terror: How Israel Confronts the Next Generation of Threats, English Translation of the Official Strategy of the Israel Defense Forces, (Belfer Center for Science & International Studies, August 2016), pp. 1-62; Abi-Habib, M. ‘Syria’s Civil War Produces a Clear Winner: Hezbollah’, The Wall Street Journal, (April 3, 2017); Meir Amit Intelligence & Terrorism Information Center, An Analysis of threats against Israel made by Hezbollah leader Hassan Nasrallah, (March 2, 2017); Hoenig, M. ’Hezbollah and the Use of Drones as a Weapon of Terrorism’, op.cit, pp. 2-3; n/a. ‘Hezbollah chief threatens to target Israeli nuke plant’, Middle East Monitor, (February 16, 2017). [iv] Such as the assassination of the group’s commander, Abu Hashim al-Shami, in October, and the group’s security apparatus arrested a number of key figures who had been associated with the Yarmouk Martyrs Brigade; It’s been reported that there is enough in situ support to sustain ISIS aligned groups, with internal disputes remaining the primary cause of disruption. [v] Hasan Mustafa’s comprehensive assessment of Timber Sycamore, the CIA’S covert program to arm Syrian rebels, notes that the Yarmouk Martyrs Brigade “was one of the first groups to be vetted for TOW missiles in early 2014” and was considered to be one of the leading moderate groups of the Syrian rebellion. [vi] Bender, B. ‘Israeli Officers: You’re dong ISIS all wrong’, Politico, (May 22, 2017). [vii] According to the IDF, along with the strike against the Islamic State cell on the Golan Heights, tanks from the Armored Corps have struck almost 19 targets since the beginning of 2016; “The Jews trespassed on the lands of the Dawla [Islamic State] and the soldiers repelled them,” explained one of the militants involved in the clash. [ix] Al-Tamimi question the effectiveness of an “accelerated decapitation strategy against JKW” but “from the perspective of Israel, Jordan, and the coalition, it is the only viable option short of a ground intervention”; See also Almog, D. ‘Cumulative Deterrence and the War on Terror’, Parameters, (Winter 2004/5), pp. 4-19; Rid, T. ‘Deterrence Beyond the State: The Israeli Experience’, Contemporary Security Policy 33, no. 1, (April 2012), pp. 124-147; Cohen, R. S., Johnson, D. E., Thaler, D. E., Allen, B., Bartels, E. M. Cahill, J. & Efron, S. From Cast Lead to Protective Edge: Lessons from Israel’s Wars in Gaza, (Santa Monica, CA: RAND Corporation, 2017), pp. 1-246. [xi] Wilayat Sinai, ISIS’ Egyptian affiliate claimed a rocket attack on the Israeli resort town of Eilat in February 2017. [xii] Hamas also strongly rejected ISIS’ claim of responsibility, saying that the three belonged to local Palestinian terrorist organisations. Izzat al-Risheq, a member of the group's political bureau, tweeted that "the three martyrs, heroes of the Jerusalem operation, did not have any relations to Daesh (ISIS) and belonged to the Popular Front for the Liberation of Palestine (PFLP) and Hamas." Another Hamas official added that "the attack in Jerusalem is a new proof that the Palestinian people are continuing their revolution against the occupier and that the intifada is continuing until full freedom is achieved." Thus, instead of being ISIS-directed, Hamas attempted to portray the attack – which was celebrated by the Palestinian militant group as a success – as part of the Palestinian popular struggle against Israel. [xiii] Former ISIS spokesman Abu Mohammad al-Adnani called on ISIS supporters to escalate attacks during this period. As a result, Ramadan was especially bloody, with ISIS attacks in Bangladesh, Iraq, Jordan, Yemen, Saudi Arabia, and Turkey. Patrick Blannin (@PatrickBlannin) is a PhD Candidate, teaching fellow and research assistant at Bond University, Queensland, Australia. Mr Blannin’s doctoral research focuses on the role and scope of defence diplomacy in contemporary counterinsurgency and counterterrorism. He has published a research monograph titled Defence Diplomacy in the Long War (Brill) as well as peer-reviewed journal articles on topics related to transnational terrorism (organisations, funding sources and counter measures).